This weekend marked the final round of the IMSA Weathertech SportsCar Championship at Road Atlanta's famed Petit Le Mans. The ten-hour race in northern Georgia was bound to be a tough one from the start, but Porsche was more than ready for the challenge. The mid-engine 911 RSR competitors donned a throwback livery in the form of 1998's Le Mans-winning 911 GT1 with Mobil oils white, blue, and red. Both cars looked spectacular as the green flag flew, and they were both incredibly quick. The team ran a largely flawless race, and managed to take the victory they so desperately wanted, their third win of the season. 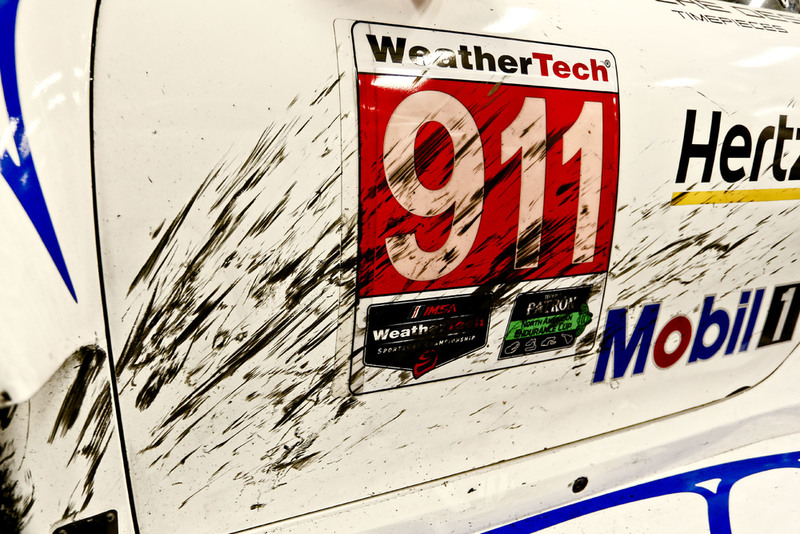 The #911 car was the one to cross the finish line first in the GTLM class, having run into almost no issues all race long. This is the age-old Porsche strategy of running consistently quick lap times while staying out of the pits as much as possible to place higher. It worked at Le Mans, and it worked at Petit Le Mans. Patrick Pilet, Nick Tandy, and Fred Mako put in an incredible effort to win over the competitive GTLM field with BMW, Ferrari, Ford, and Corvette doing everything they can to win themselves. With about three hours remaining on the race clock, Mako moved the #911 into the lead of the class, and maintained that lead through his stint. He then handed off to Tandy, who brought the car home in the lead with a margin of over 11 seconds. Meanwhile, the #912 team car of Earl Bamber, Laurens Vanthoor, and Mathieu Jaminet spent much of the opening few stints at the front of the pack as well, despite having slowed for a punctured tire early on in the endurance race. A mistake, which incurred a drive-through penalty, cost the team any shot, however. Losing that time in the pits was too insurmountable to make back up, and they ultimately finished down in 6th, one minute behind the winning sister car. In GTD, Porsche's Wright Motorsports team suffered similar to the #912, having run up front early, but falling out with a drive-through penalty. Patrick Long, Christina Nielsen, and Robert Renauer put in as strong a drive as a trio can, but could do no better than just off the podium in fourth, one lap down. Meanwhile, the Park Place Motorsports car retired before the end of the race.